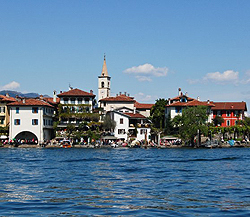 Lombardy is known for its pristine lakes and wonderful architecture. It is the cradle of Romanesque architecture, but also boasts the splendidly Gothic Cathedral of Milan and beautiful Renaissance palaces and churches. Its medieval cities Mantua, Pavia, Brescia, Bergamo and Cremona are said to have the loveliest piazzas in Italy. Water sports and cruises can be enjoyed at the lakes, making it a good vacation spot. The most populous, developed, and affluent of Italian regions, Lombardy is the country's financial heart rather than Rome.